Ms. Clydesdale’s parents were was Stuart and Joyce Clydesdale. Stuart played the piano, while Joyce sang professionally in opera productions in California’s Bay Area. Norah started playing the piano at five years of age and the cello at eight. Cello soon emerged as her main instrument of study. Norah studied with Colin Hampton of the Griller Quartet and Andor Toth, Jr. of the Hungarian Quartet at the San Francisco Conservatory. She then traveled south to study with Gabor Reijto and Bernardo Segall at USC before culminating her training at Boston University. In Boston Ms. Clydesdale studied for seven years with world-renowned concert cellist and pedagogue George Neikrug. Ms. Clydesdale has participated in Masterclasses with Isaac Stern, Walter Trampler and Eugene Lehner of the Kolisch Quartet. She played professionally in the Boston area--principally as a chamber musician, performing the entire Beethoven Quartets Cycle with the Artaria Quartet before moving to Paris, France. In France she was an active educator, teaching cello, violin, and the love of music to children and adults in Paris. Ms. Clydesdale also developed the string department at the Lycee Ombrosa in Lyon, France. and Italian fluently, Ms. Clydesdale rounded out her career in Europe teaching music to young school children in Milan, Italy. Norah recently returned from Europe and is now an active performer and educator in Colorado. She has performed with the Grace String Quartet, as Assistant Principal Cello of the Chamber Orchestra of the Springs, and was Principal Cello of the Pikes Peak Philharmonic for the last three years.. Norah also performs with the Pueblo Symphony Orchestra, and is a founding member of the Colorado State University-Pueblo Faculty Piano Trio. Earlier this season, Ms. Clydesdale gave a Masterclass at the University of New Mexico in Albuquerque for the students of her friend and colleague, Dr. David Schepps, Professor of Cello. 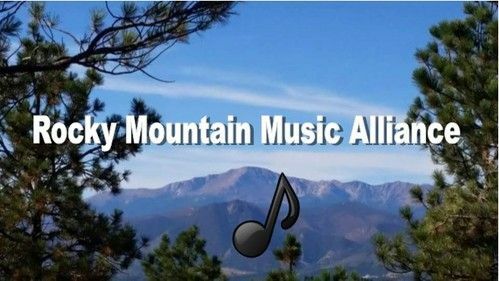 Norah is currently developing the Clydesdale Music Studio in order to reach out to interested students in the regional community as well as in New Mexico. Norah is the Cello Instructor and Assistant Orchestra Director at CSU-Pueblo. She also maintains private teaching studios in Colorado Springs and Pueblo. Native of Sofia, Bulgaria, Dr. Metchkov holds BM in piano and organ performance, MM in piano performance, and DMA in piano performance with a minor in music theory from the Cleveland Institute of Music, Cleveland, Ohio. In 2010 he joined Colorado State University-Pueblo’s department of music in the capacity of Assistant Professor of Music, teaching applied piano, piano related courses, as well as music theory. He was the 2013 recipient of the CSU-Pueblo’s Outstanding Service and Transformative Leadership Award and the 2014 recipient of CHASS Outstanding Faculty of the Year. Dr. Metchkov has also taught at the Cleveland Institute of Music as well as Youngstown State University. He directed the Cleveland based Ensemble Secundum Silentium, serves as an artistic adviser for the San Angelo Piano Festival, and in May 2009 co-directed the Youngstown State University Intensive Piano Workshop. Currently Dr. Metchkov is the Artistic Director of the Pueblo Keyboard Arts Festival and Piano Conversations Concert Series, Pueblo, as well as Rocky Mountain Music Alliance Concert Series, Colorado Springs. As a performer he has appeared in the Mostly Mozart Music Festival, Pianofest in the Hamptons, Bridgehampton Music Festival, Sofia Music Weeks, Varna Summer Music, Geneva Chamber Music Festival, New Year’s Music Days Festival, and San Angelo Piano Festival. He has appeared live on radio CPR-Denver, WCLV-Cleveland, Bulgarian National Radio, Radio Alma Mater-Sofia. Placing high priority over the education of young pianists in Southern Colorado, Dr. Metchkov is the President-Elect for the Colorado State Music Teachers Association, a chapter of the Music Teachers National Association. He is a frequent guest adjudicator and clinician to numerous piano festivals in Colorado and strives to promote well structured study of music, specifically piano, to young people of all ages and their families. He maintains a private studio, whose members have garnered awards in state competitions and festivals. Dr. Metchkov has been enjoying an active artistic life as a soloist, chamber artist, as well as church musician. He has been a guest artist with the Pueblo Symphony, Cleveland Institute of Music Orchestra, Colorado State University-Pueblo Orchestra, Colorado State University-Pueblo Wind Ensemble, Suburban Symphony, University Circle Chorale, University Circle Wind Ensemble, and Pleven Philharmonic. 2016-2017 projects include Brahms First Piano Concerto, Franck Symphonic Variations, Mozart Triple Piano Concerto, Brahms and Ligeti Horn Trios and others. Besides music, he also enjoys skiing and is steadily working on climbing Colorado’s fifty-four 14ers. During his time at Peabody, Timothy was actively involved in several outreach organizations for students in underserved communities, including the Baltimore Symphony Orchestra’s OrchKids and the Greater Baltimore Youth Symphony’s Bridges after school programs as a lead violin teacher. He was also on the TWIGS violin faculty at the Baltimore School for the Arts. In the summer of 2012, Timothy traveled to Acarigua Venezuela to teach and perform in one of their country’s El Sistema education sites. He was also one of two violinists from the United States asked to teach a special masterclass in Guanare, Venezuela during that same summer. While in Iowa, Timothy has performed concerts at the University of Iowa Hospital and Clinics, the VA Hospital, and an educational concert for the pre-school division of the Preucil School of Music. Always on the lookout for new opportunities, Timothy has been involved in numerous original projects. In an effort to enrich the ties between Johns Hopkins and Peabody, he facilitated a chamber music reading event between the students of Homewood campus at the Johns Hopkins University and Peabody music students. He was also a co-founding member of the Occasional Symphony whose purpose is to celebrate diverse holidays in distinctive venues with original and classic compositions. Timothy was the recipient of the Peabody Career Development Grant in 2010, and he also won the University of Iowa School of Music Travel Funds Grant in 2014. In 2006, Mr. Hsu won the MTNA Young Artist’s Competition State Division. He has also participated in several music festivals including the National Kennedy/Center Summer Music Institute and the Aspen Music Festival where he studied with Won-Bim Yim. He has performed in masterclasses with former New York Philharmonic concertmaster, Glenn Dicterow, and violinist Chee-Yun. As a chamber musician, he has received coachings from numerous quartets including the Brentano String Quartet, Jupiter String Quartet, Cavani String Quartet, JACK Quartet, and Saint Lawrence String Quartet. Timothy served as the principal second violinist of the Orchestra of the Pines in Texas and has also been a member of the Ft. Smith Symphony in Arkansas, the Dubuque Symphony, and Waterloo-Cedar Falls Symphonies. He was also concertmaster of the symphony ensembles during his time at the University of Central Oklahoma and the University of Iowa. Mr. Hsu holds a bachelor’s degree from the University of Central Oklahoma and received his master’s degree from Peabody Conservatory. His former teachers include Dr. Hong Zhu and Violaine Melancon of the Peabody Trio. He is currently finishing his doctoral studies from the University of Iowa with Professor Katie Wolfe.